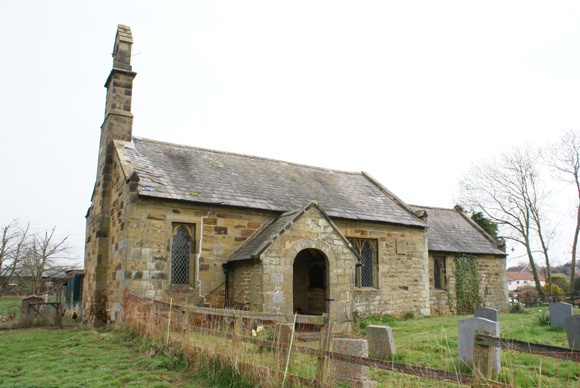 The little Grade II listed church at Thornton was under real threat of demolition before we took it into care in 2010. It was declared redundant in 1997 and the Church Commissioners, charged with trying to find a long-term solution, opted for conversion to a house. But planning permission was refused and this refusal was upheld on appeal. There was every likelihood that, faced with such an impasse, the Commissioners could have pressed for consent to destroy the building. They didn’t and instead came to us with a suggestion. If you will take the building into care we will commute the cost of demolition that we shall thus save into a grant to The Friends. We welcomed such a constructive approach and that is what has happened. 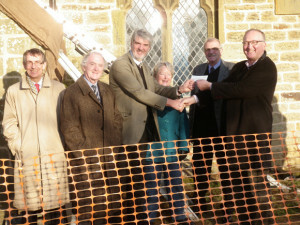 In 2011 and 2012 we have spent almost £50,000 on a programme of external repair (architect, David Sherriff of Leeds and contractor, John Maloney of Ripon) to which the Commissioners (and the diocese of York) contributed £17,000. We still have the interior to do but we know we have the enthusiastic support of local people to complete the task. There is a strong sense of community within the village, epitomised by their adoption of the village’s K6 telephone kiosk which is now a sort of Citizens Advice Bureau – full of notices and advice. Thornton church was medieval in origin but was largely rebuilt in 1770 and it is telling to see the Classical detail on the main south door surround. The Victorians also left their mark, renewing much of the tracery and adding “Enter into His Courts with Praise” over the chancel arch. The roof is from the 19th century too as is the plain font (which supposedly was the gift of Dr Edward Pusey, one of the great figures in the Oxford Movement). Good old Victorian ingenuity arranged for the flue for the ( now removed ) stove at the west end to exit through the bellcote. The bell is dated 1693 but there is no date that we can detect on the external squared-off sundial. The building seems to have always been a chapel of ease rather than a full parish church – but it was favoured as the final resting place for the good farming folk of the area who created a “funeral walk” along which they brought their dead from North Otterington for burial at Thornton. 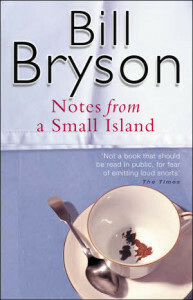 Bill Bryson writing in “Notes from a Small Island” in 1995 fell in love with the name “Thornton le Beans”. At the end of a long list of the “endearingly inane” names of settlements that he came to love as he toured his adopted country, he ended with the “practically unbeatable Thornton le Beans (Bury me there !)”. Well we can offer him a plot in the churchyard for the church now belongs to us. Keyholder nearby. Call the office for details.